For $45 (excl GST) you receive a 90 minute professional online training course with activities, assessments and a certificate of completion. Your administrator can monitor employee progress from the learning management system. 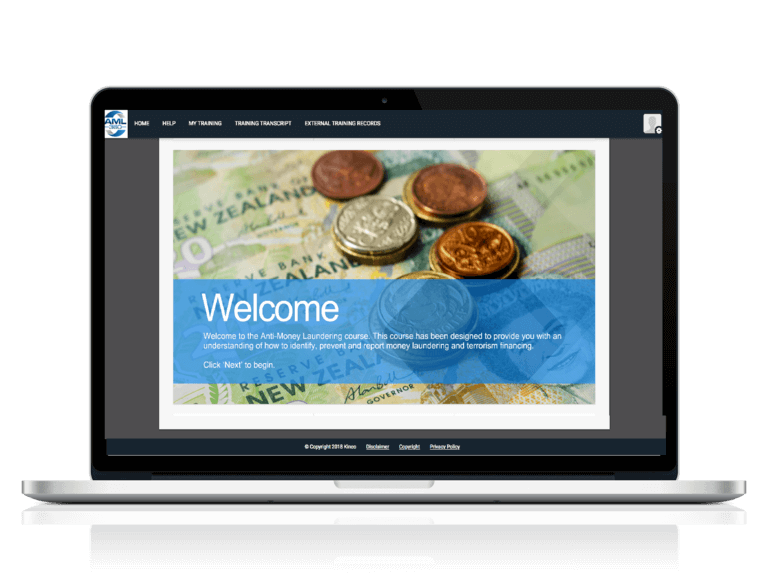 We also provide specialist on-premise training at all NZ cities and provincial towns. 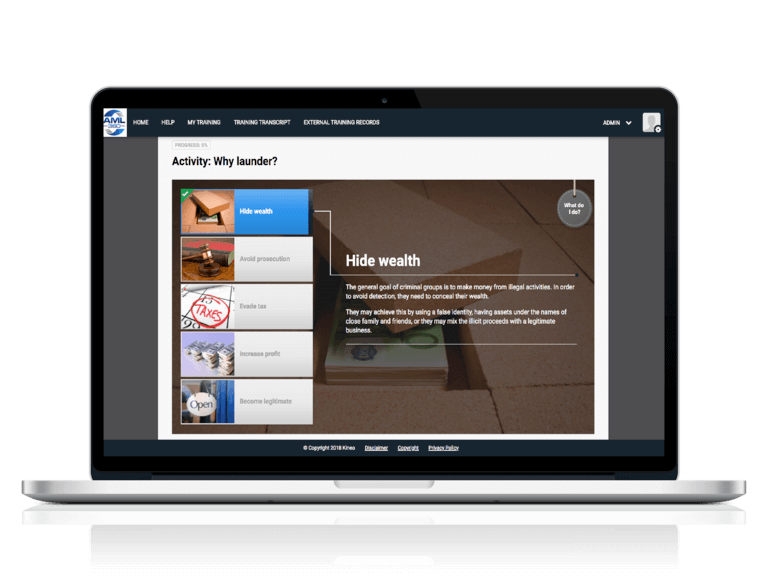 This is a 90 minute interactive course with professional audio, animation and assessments. Participants can save and continue. Accessible for 12 months. Upon completion a certificate is rewarded. 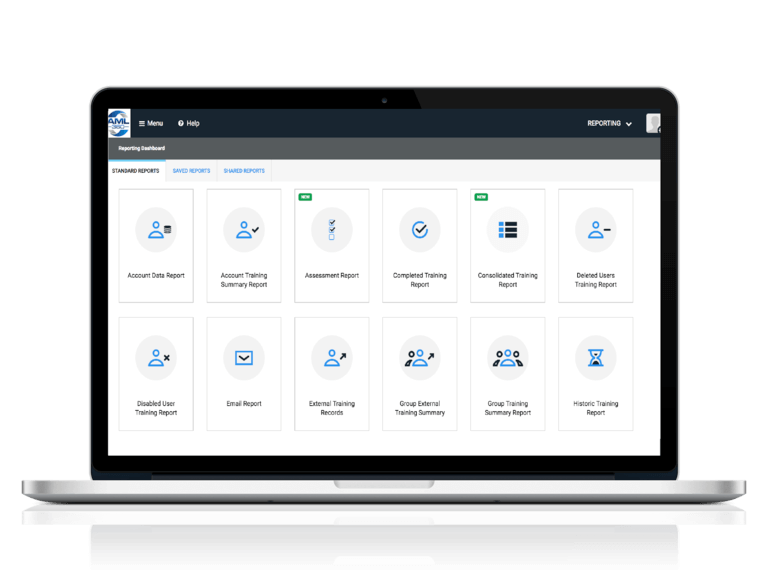 Our Learning Management System makes your course available, anytime, anywhere, allowing training managers and administrators to record, assign and generate reports from a single administrative interface. 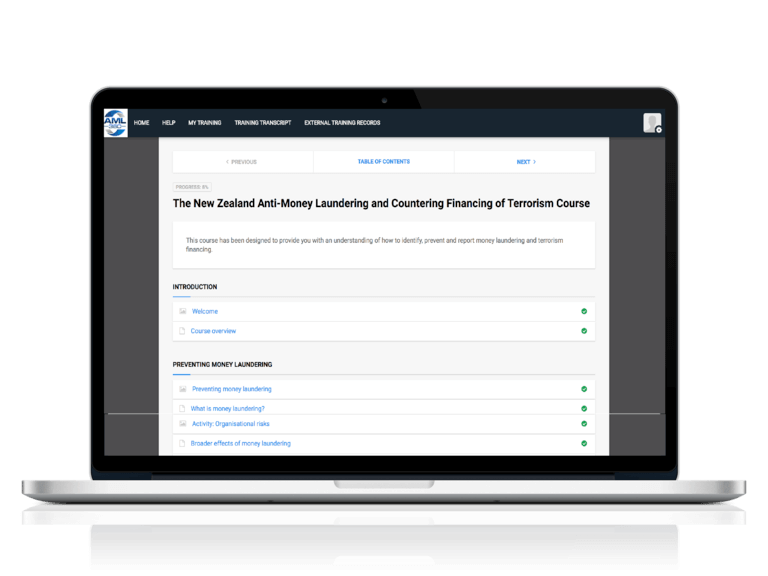 (1) The potential harm caused by money laundering and terrorism financing, (2) how to identify money laundering and terrorism financing, (3) regulatory requirements, (4) the key components of an AML/CFT programme. This training is primarily aimed at employees of organisations that have a reporting obligation under anti-money laundering legislation. We use a blend of workplace simulations, and interactive assessments. The course includes visually attractive interactive activities. 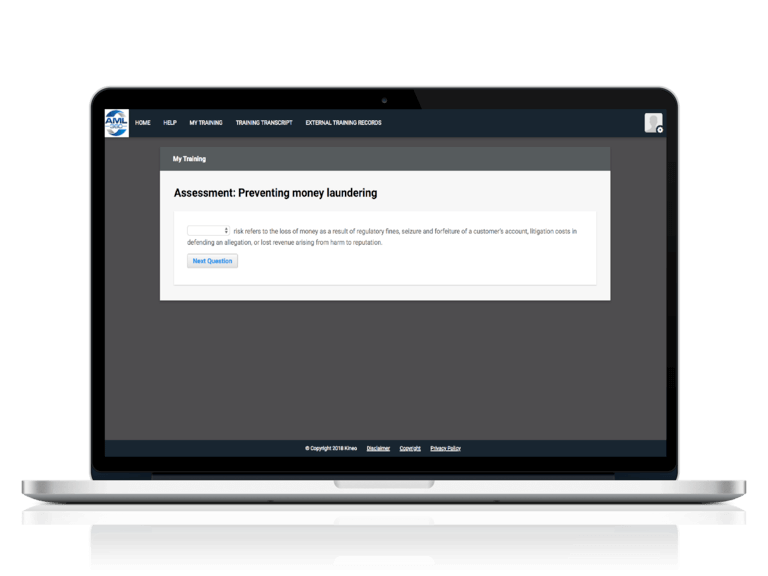 AML360 represents an all-in-one anti-money laundering risk and compliance dashboard from where business risk assessments, customer profiling, transaction monitoring, geography risks and sanction screening can be managed and monitored. We are in the industry to provide businesses with an effective yet affordable compliance framework. 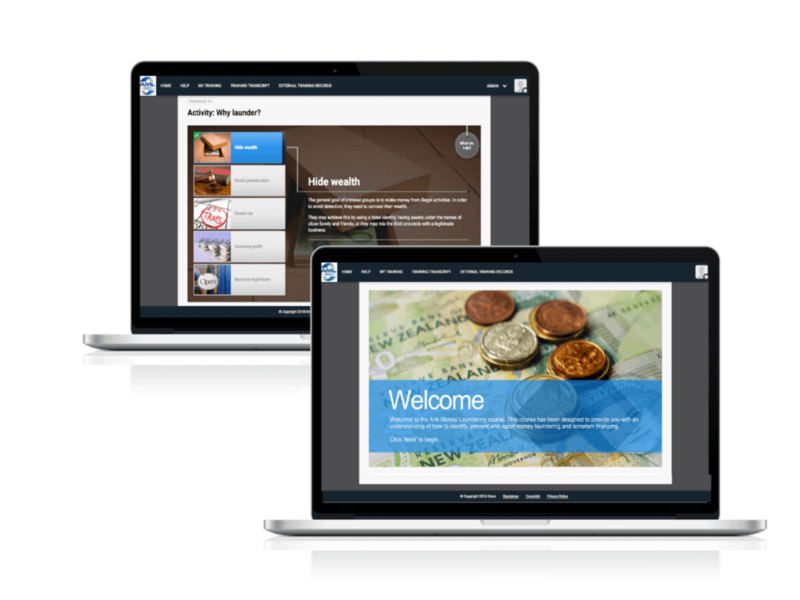 Subscribers to our software receive complimentary invites to our webinars which will ensure they stay up-to-date with industry best practice.